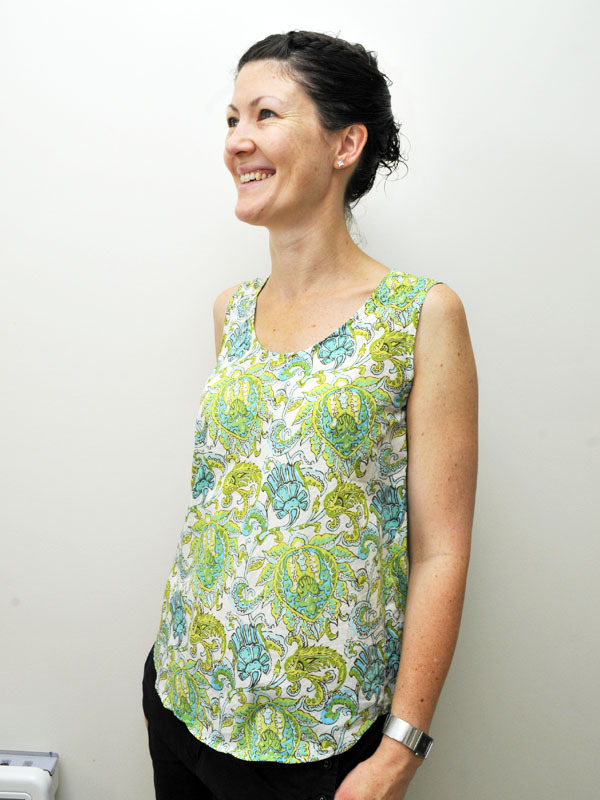 Here is my Wiksten Tank in Amy Butler's gorgeous Soul Blossoms voile, Dancing Paisley in Limestone. I haven't felt or worn such a beautiful soft voile before. It barely needs an iron (meaning...I don't actually iron it)! It is so comfy and cool - I love it. 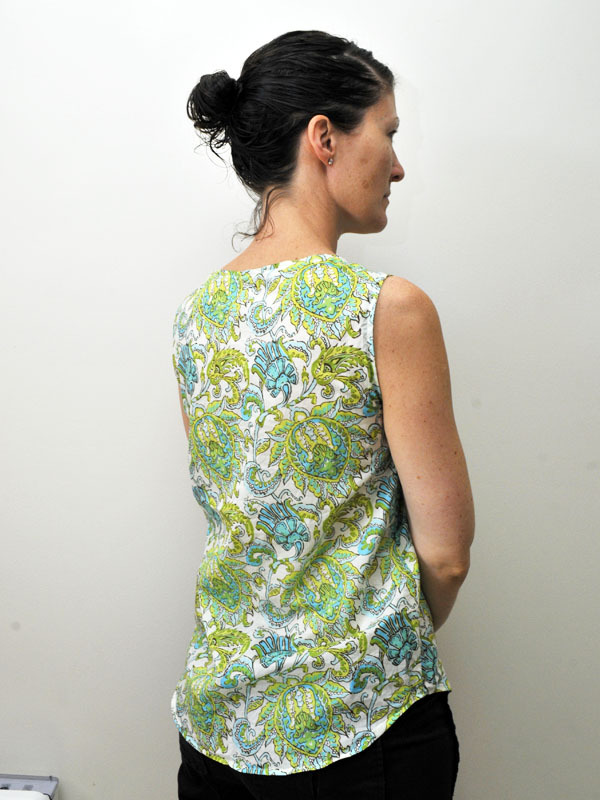 My trial version of this top was in a white swiss dot voile from spotlight. I didn't do the french seams as instructed on the white version so the result of course is not as fitted as this one, which I made properly. Ed note: I made this from 1 1/4 yards (1m) of fabric! Which was a total of $15USD - plus the pattern, I think I made a small. I have one I'm posting this week too! Made it a while ago but didn't get around to posting it. I like it but didn't bother with the test version and I agree, a bit low cut at the front, which a lot of people have commented on. LOVE your fabric - more so than mine I think! Voile is the best. I made a medium in Cotton Lawn (equally as lovely to wear) but really need the small once not feeding V.
Yana I answered your question above in the editors note. Gret, looking forward to seeing yours, we have posting esp again!